Ponified. . HD Wallpaper and background images in the Young Justice club tagged: young justice robin kid flash superboy artemis aqualad megan batman. 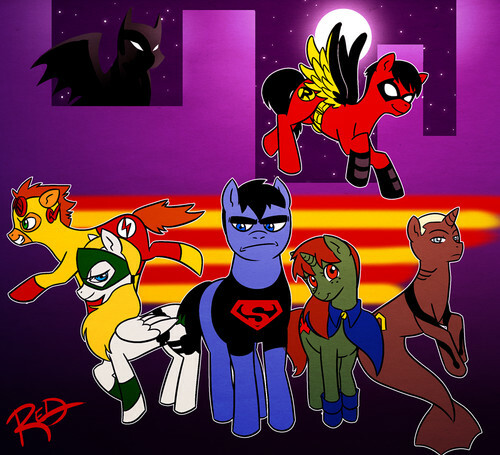 Wait first we have Batman on a pony saying that Gotham needs him and then we have the the team as a pony.....now this is were I say WTF!!? These all match their human counterparts so well! Bat pony scares me RUN VILLAINS RUN!